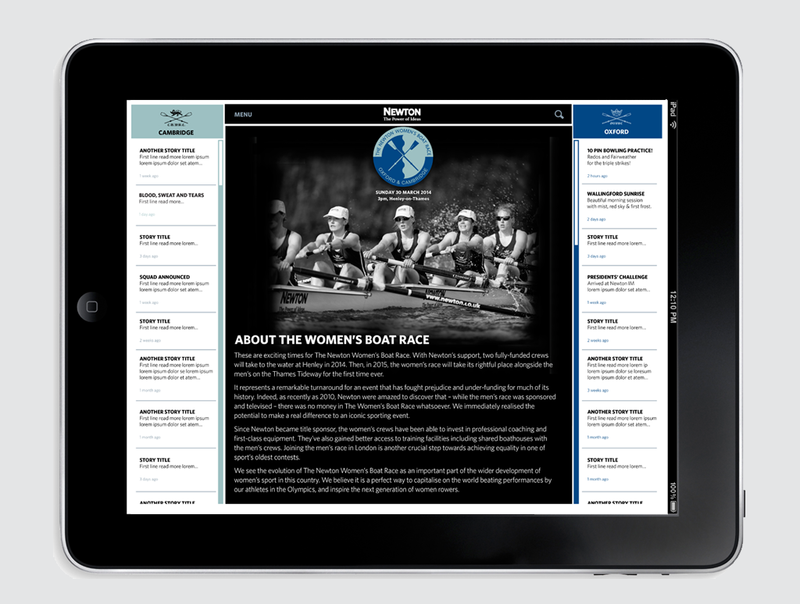 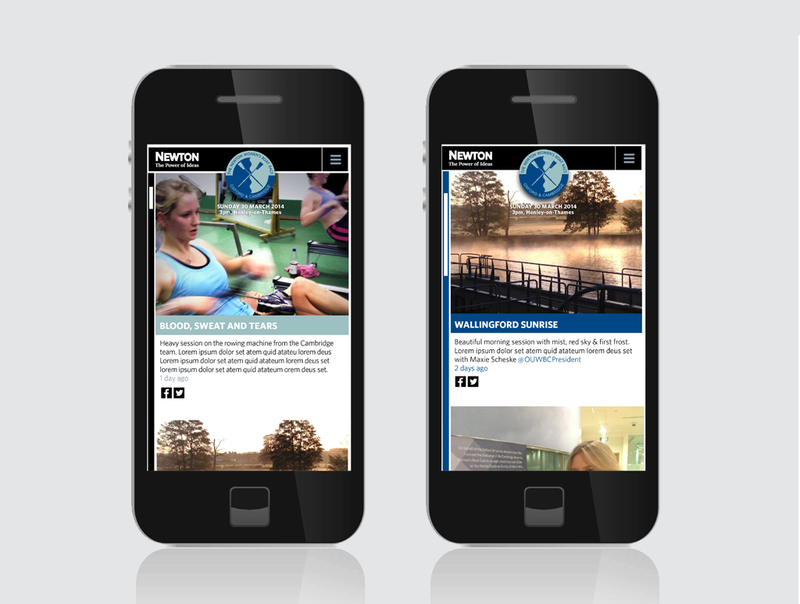 Responsive website design for the 2014 Womens Boat Race. 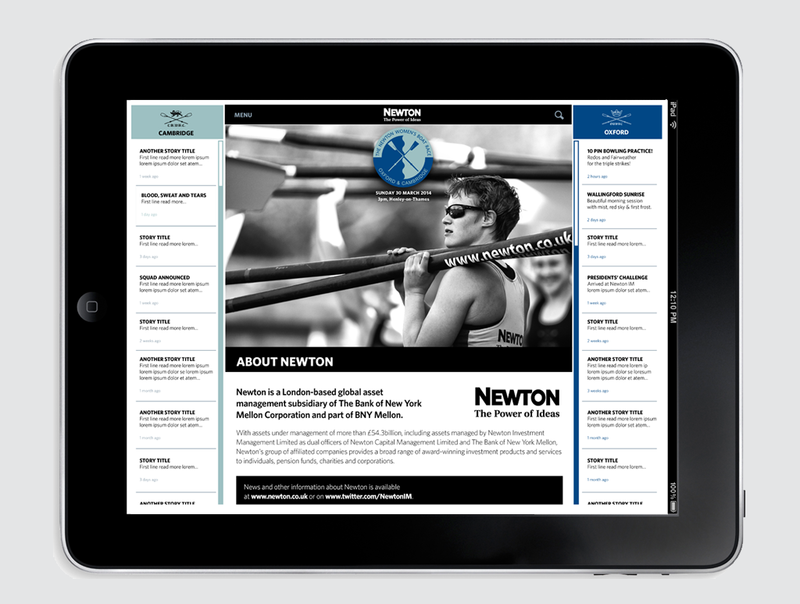 A collection of all relevant social media posts in one place, Similar to the men’s race, the design is an endless scrolling web page with the two teams split down the middle. 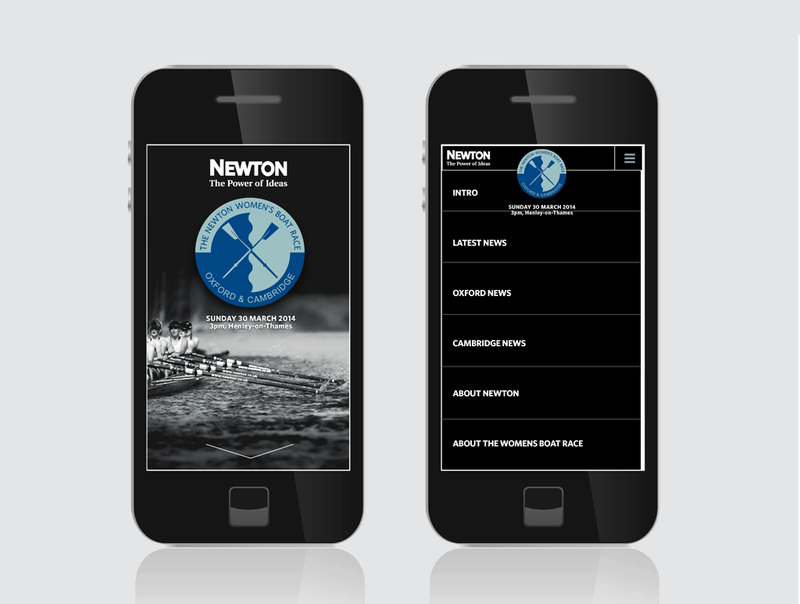 When resized to mobile, there is an option to view both teams in one stream or select only Cambridge or Oxford.